"Alyssa Melanie and Chelsea are my life. My sweet little angels." My name is Crystal. I am a mom of three little girls. I have been with my boyfriend Jesse for 10 years. I really love all the graphics on here! I will never down vote anything and I really hate it when people do. You guys all do such a wonderful job and everyone is so nice. I appreciate that you guys take time out of your day to make these. You guys are great!!! I would really love to know how to make graphics. This is my favorite site. 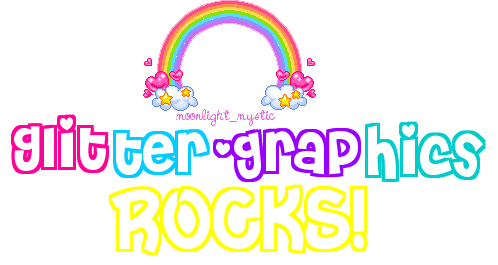 I'm a glitter graphics addict!!! !